Happy Full Blue Sage Super Moon Eclipse! Wow. What a BIG night! For many this energy can be felt intensely- making us feel raw, vulnerable and hyperaware, and for others there is almost a calm and peaceful vibe feel here as rough waters from the past are finally beginning to settle. Either way, there is change in the air, and we are all feeling it on some level or another. Tonight is a Blue Moon, meaning the second Full Moon to occur this month. It is also a Super moon- she is looking 12-14% larger in the skies tonight.. and it is also a Lunar Eclipse! Be prepared for deep shifts to take place in your life during this time. Eclipses often act as gateways for us to make and integrate deep changes on a soul and physical level. This is also a Full Moon in Leo, a dynamic fire sign. This sign is asking you to find balance between the sacrifices you make for others and the ones you make for yourself. We are also right upon the pagan sabbat of Imbolc. The Earth is getting ready for Spring in the Northern Hemisphere. Change is on the way as she prepares to birth something new. We have a unique opportunity to begin anew as well. This could manifest in different ways depending on where this moon lies in your chart, and where you are at on your path. Progress is always inevitable, and this gateway puts a lot of it in our control. 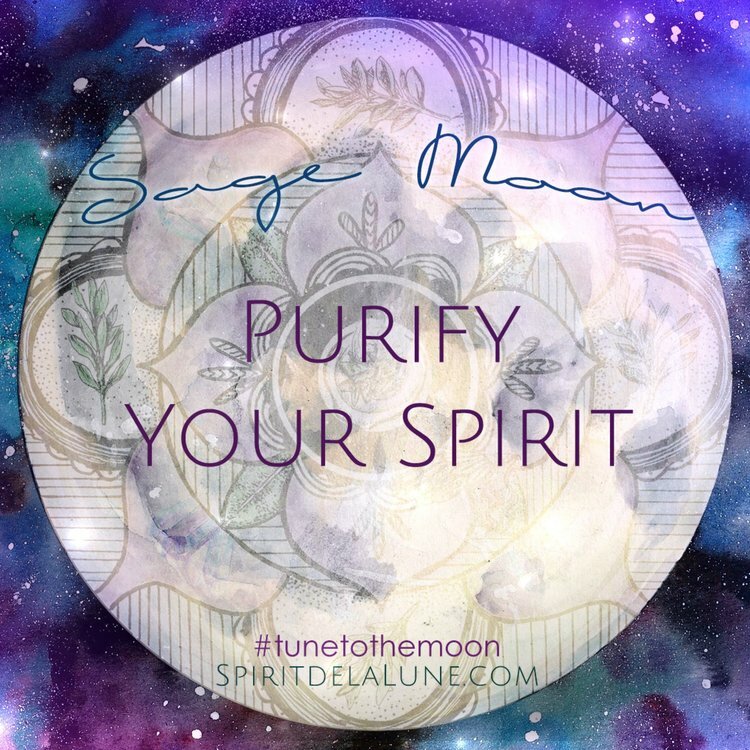 This Moon is also the Sage Moon. 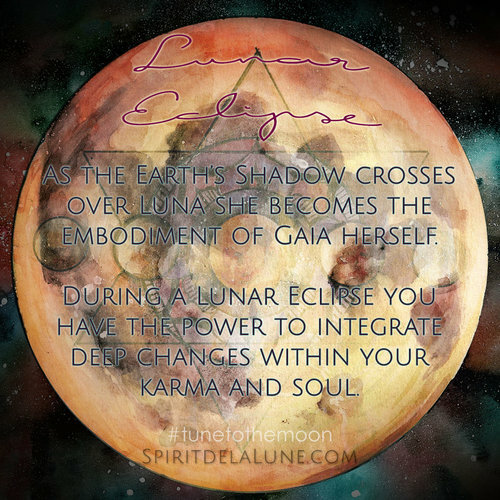 A Full Moon that embodies the energy of cleansing and purification. Before anything new can truly grow and bloom, we must first clear away the blockages that are inhibiting the growth. Sometimes the cleanse we need could be as simple as smudging our home with sage, or taking a salt bath to clear our energy. Sometimes even that doesn't feel "enough" to help us move forward. When we feel resistance to change or fearful of the unknown we are many times burdened by our past circumstances. People, places, events and even things can bog us down and make us apprehensive towards our own growth without even consciously realizing it. It can almost feel like we are tied down to our circumstances. We create connections or "etheric cords" between people, places and things without even realizing we are doing it. These etheric cords can drain us emotionally, mentally and physically, and many of us don't even know it's happening! Big or impactful relationships or events can cause long term draining cords, while unhealthy day to day cords can become tiring over time. Empaths especially tend to pick up and hold onto etheric cords. We not only feel our own pain, but we feel the pain of others! It can be very hard to let some of these cords go so that we can fully step into our own power to move forward. Energy flows between these cords. Sometimes healthy cords become unhealthy or toxic. Sometimes they become draining or confusing. For tonight's Full Moon Ceremony, we are doing a Cord Cutting Ritual to help us break free of the etheric cords that might be tying us down from our own growth. Rachael is also offering free Reiki Healing tonight for anyone want that is interested. There is a sign up form at the bottom of the instructions, it is not mandatory to participate, but can be helpful in the integration of this process. A cord cutting ritual will not cut off the cords from those who you are meant to be connected to, but it will help cut off the negative flow and restore the cords to a healthy state. We will also be removing and revitalizing the old stagnant and useless/needless cords that might be draining your energy without your knowledge, and those that are within your knowledge. You don't need to even know what or who it is you are releasing! Trust you higher self and your guides to help you release the cords that are needed. Many people call in the energy and entity of Arch Angel Michael (or Metatron) to help support a cord cutting ceremony. He is the wielder of the Sword of Violet Flame, but you don't have to call upon him for this to work. Though, we will be using the Violet Flame of renewal. The Blue Moon Card of the deck even features a Violet Flame to represent the healing and rewal qualities this Moon offers. This is a very simple but powerful and effective method of cutting the cords that bind. 1. Sit in a quiet comfortable place undisturbed. Dim the lights, turn on some soft music, turn your phone on silent, etc. A salt bath would be perfect for this ritual, but you can do it while in bed or simply sitting and meditating. 2. Relax and take some deep breaths. Center yourself and ground your energy. You can hold a black crystal like jet, tourmaline, or onyx as you do this to help keep your grounded. 3. Call in or evoke your personal guide, or Archangel Michael in whatever way you'd like. Having a guide or an etheric mediator can be helpful for this ritual. This allows you to trust in the process and allow the healing to take place on deeper levels while you focus on your breathing and visualizing. Some choose to say the name out-loud, others visualize their teacher or "feel" their presence. This is up to you,. 4. Once you feel the presence of your chosen guide, with your eyes closed, begin to imagine a blue violet flame begin to glow and grow around your physical body. 5. Shift your awareness to your inner self. Feel the Violet Flame glow and grow inside of you. Growing in accordance to your breathing, getting bigger with each breath. 6. As this flame gets brighter and bigger, it begins at your root chakra and slowly spirals up your body. As the flame "touches" your body, allow your imagination to "feel" what it might feel like. This could be a cold or a warm sensation depending on every individual. Imagine this Violet Flame creep and crawl up your body/aura. As it does this, it is burning away the toxic and stale cords and filling them all with golden light of forgiveness, love and healing. You don't have to do a thing or think of anyone right now. Your job isn't to feel love, or to focus on forgiveness. Just visualize the Violet Flame engulfing your energetic and physical body. 7. When the Flame finally reaches your Third Eye and Crown Chakra begin to brighten the flame and allow it to fully engulf you from the inside out. You may visualize actual cords, vines, ink, filth, etc being burned away and dissolved completely during this time. Freely give up all debris and as much darkness as possible. Allow it to be transformed and transmuted. All that has served it's purpose is transmuted at this time. 8. With the Violet Flame all around you and inside of your being, allow this eternal and infinite flame to expand outward to your entire house, your road, town, state/province, country and outward. Allow your focus to expand to all of humanity and the collective conscious and wrap it in the Violet Flame. The flame is burning and transmuting fear, negativity, bigotry, racism, sexism, judgement and all other lower vibrations that are no longer serving humanity as a whole. 9. When you feel complete in this process, slowly bring your focus back to your home and your body. Allow the flame to drop and diminish as slow as needed. Once the flame is down to coals move your fingers, your toes and allow the coals to go out, knowing that you can always stoke the Violet Flame again when needed. 10. Thank your guide/mediator for their assistance and stand up when you are ready. Move your body around. Drink a lot of water and eat light meals after this. Smudge the space you were in with sage, and open some windows for fresh air. This Ritual may have seemed simple to some, and more powerful to others.. but remember, it broke down many barriers and will continue to ripple through out time for quite a while. This ritual has a healing effect on not only yourself and those you released, but it has an effect on the whole of humanity. If you would like you could repeat a phrase like the one provided to the right (Or anything you'd like) out-loud during your ritual. Or even listen to a guided meditation. There is no right or wrong way to evoke the Violet Flame. Once you know how to do it and what it might feel like, you can bring it about whenever you feel you need it. Pairing this ritual with the powerful energies of this Full Super Moon Eclipse can make the effects even more powerful. But again, don't be afraid to repeat this ritual whenever you feel the need to release, renew and move forward! Speaking of moving forward, we are so excited to announce that our calendars are completed and soon on their way to us! So we wanted to host a HUGE giveaway tonight to try and honor such a HUGE lunar event that is this Full Moon! Tonight we are giving away one deck, one calendar, and a spot in the SiStarhood along with a preprinted planner! Follow us on instagram and check out our post for the official rules on how to enter to win. Don't forget to charge your decks and crystals tonight under the Full Moon! We would love to know how your cord cutting ritual goes! Did you feel the Violet Flame? What did it feel like to you? Tell us in the comments!